The human race now creates, distributes and stores more information than at any other time in history. Frictionless and cheap digital networks circulate information in ways which either authors or subjects are unable to trace or control. Servers store data which can be found on the world wide web years after it has ceased to be accurate or relevant to its original use. These developments have given rise to a movement promoting a 'right to be forgotten': an argument that freedom of expression should be balanced by a right to erase information which affects an individual, under certain conditions. Rights to privacy therefore need extending and strengthening in the digital era. This strand of thinking influenced a significant judgement delivered by the European Court of Justice in May 2014. As a result, the dominant internet search engine in Europe, Google, has been required to remove links to hundreds of thousands of pieces of information on application from individuals who considered their interests harmed. We know very little of how these delinking choices are made. 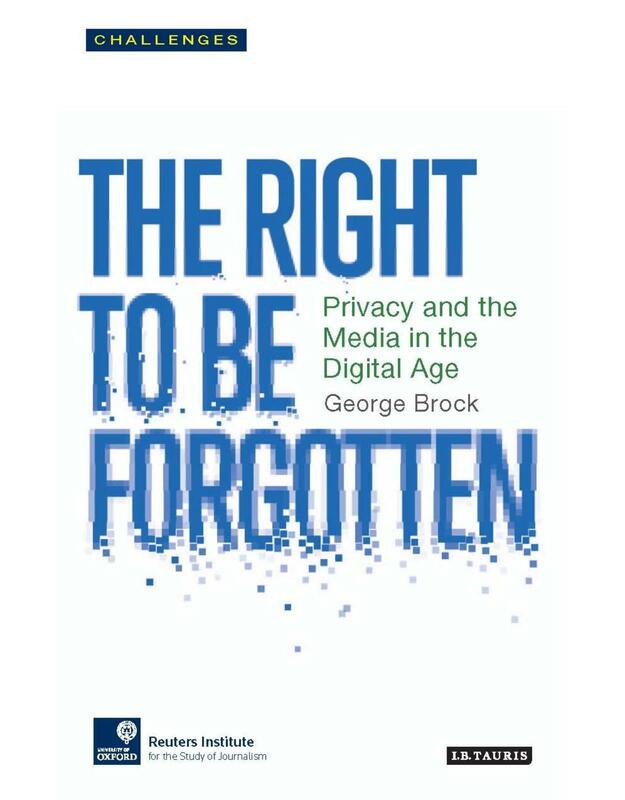 This book looks at the implications of this controversial decision for free expression, journalism and information in the digital public sphere. Two rights-free speech and privacy-collide in a new way in age of information saturation. Is the judgement a threat to freedom of information and the accuracy of the historical record or the first step in establishing essential new rights in the digital era. Beginning PowerShell for SharePoint 2013 is a book for the SharePoint administrator looking to expand his or her toolkit and skills by learning PowerShell, Microsoft's vastly flexible and versatile object oriented scripting language. PowerShell is the future of Microsoft administration, and SharePoint is a complex product that can be managed more easily and quickly with PowerShell cmdlets and scripts. This book helps bridge the gap, introducing PowerShell fundamentals and operations in the context of deploying, migrating, managing, and monitoring SharePoint 2013. Author Nik Charlebois-Laprade begins by explaining the fundamental concepts behind the PowerShell language. Then, with copious real-world examples and scripts, he lays the foundation for PowerShell novices to automate interactions with the various pieces and components of the SharePoint 2013 platform. For SharePoint administrators wanting to do more with the technology, or for SharePoint developers trying to build their skills on the administration side, Beginning PowerShell for SharePoint 2013 is the perfect book to kick off your PowerShell journey. 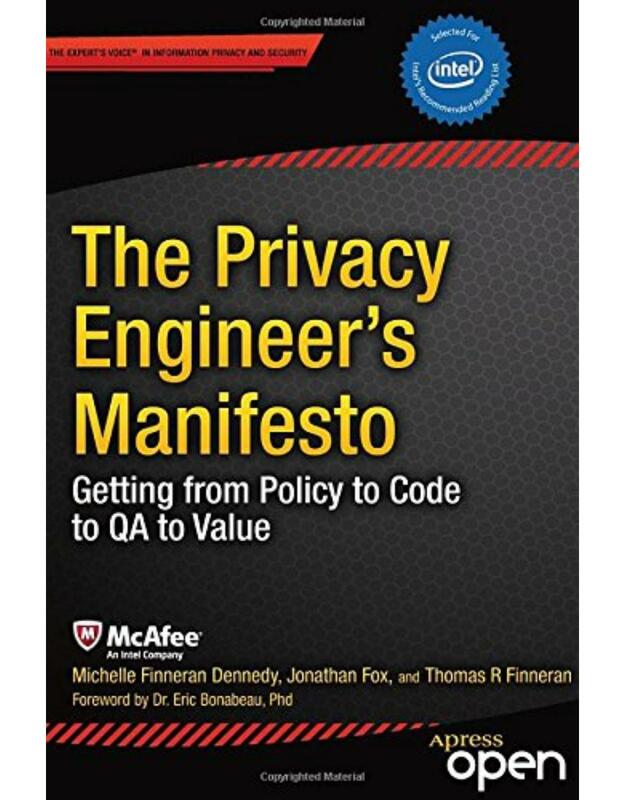 The Privacy Engineer s Manifesto: Getting from Policy to Code to QA to Value is the first book of its kind, detailing industry-proven solutions that go beyond mere theory on how to build privacy into products, processes, applications, and systems. The book offers lucid perspectives on the challenges and opportunities raised with the emerging personal information economy and how organizations can rise up to meet the organizational, asset management-related and innovation-related challenges ahead. Learn Design for iOS Development is for you if you're an iOS developer and you want to design your own apps to look great and be in tune with the latest Apple guidelines. You'll learn how to design your apps to work with the exciting new iOS 7 look and feel, which your users expect within their latest apps. Learn Design for iOS Development guides you through the design processes that you can apply to design your own apps brilliantly. We'll start at the idea stages of your apps, and you'll see how you can analyze and apply the right design patterns for every app you are coding, use wireframing tools to take your ideas forward, and use Photoshop to create the visual assets you want to look great in your app. You'll understand why Apple have made the decisions they've made with the new iOS 7 interface and new HIG guidelines, and from that insight you'll be able to vision and create your own apps, on iPhones and iPads, that work perfectly within the new iOS 7 interface. What you'll learn * How to build apps that work within the exciting new iOS 7 design paradigm * How to design great looking apps that your users will find a pleasure to use * The deeper design elements you can apply to your apps * What is and how to use Apple's Human Interface Guidelines (HIG) * How to go beyond Apple's HIG guidelines to create innovative apps * Design pattern basics and how you can use them * How to use wireframes to create your app * How to use Adobe Photoshop to create the visual assets for your apps * How to create your app's icon and additional graphics for the App Store * Extra considerations for iPad app design considerations * Common design best practices and mistakes Who this book is for This book is for iOS developers who know that they can code well, but want to know how they can build apps to also have brilliant designs. Practical Node.js is your step-by-step guide to learning how to build a wide range of scalable real-world web applications using a professional development toolkit. Node.js is an innovative and highly efficient platform for creating web services. But Node.js doesn't live in a vacuum! In a modern web development, many different components need to be put together  routing, database driver, ORM, session management, OAuth, HTML template engine, CSS compiler and many more. If you already know the basics of Node.js, now is the time to discover how to bring it to production level by leveraging its vast ecosystem of packages. As a web developer, you'll work with a varied collection of standards and frameworks - Practical Node.js shows you how all those pieces fit together. Pro PowerShell for Amazon Web Services solves everyday problems easily and powerfully using PowerShell, the scripting language of choice for Microsoft administrators. Pro PowerShell for Amazon Web Services is written specifically for Windows professionals who already know PowerShell and want to learn to host Windows workloads in the Amazon Elastic Cloud Compute (EC2) cloud service. The cloud offers information technology workers significant cost savings and agility unimaginable even just a few years ago. Tasks that traditionally took weeks of work, costing thousands of dollars, can be completed in minutes for fractions of a penny. However, Windows professionals find themselves under pressure to move workloads to the cloud, but they also find that all of the existing documentation is written based on open source languages they often are not familiar with. This book is a resource for using Microsoft's powerful scripting technology, PowerShell, to create, host, manage, and administer workloads using a service widely recognized as the industry leader in Cloud computing. Inside, find scripts to create and manage virtual machines, provision storage, configure networks with agility, and more--all using your preferred Windows scripting language. Use your PowerShell knowledge to harness the power of Amazon EC2 today! What you'll learn * Create, manage and terminate Windows servers in the cloud * Manage storage options including backup and recovery * Configure a virtual network including subnets and route tables * Secure your servers using security groups and access control lists * Use Simple Storage Service (S3) to reliably store and archive data * Control access to resources using Identity and Access Management (IAM) Who this book is for Pro PowerShell for Amazon Web Services is for the intermediate to advanced Windows professional who is ready to make the leap to the Amazon cloud. This book constitutes the thoroughly refereed scientific proceedings of the 6th International Conference on Subject-Oriented Business Process Management, S-BPM ONE 2014, held in Eichst�tt, Germany, in April 2014. The 13 papers presented in this volume were carefully reviewed and selected from 43 contributions. They explore the many facets of network-driven business process management, in particular issues related to correctness, interchange and transformation of business models, as well as dynamic handling of changes through agile process management. 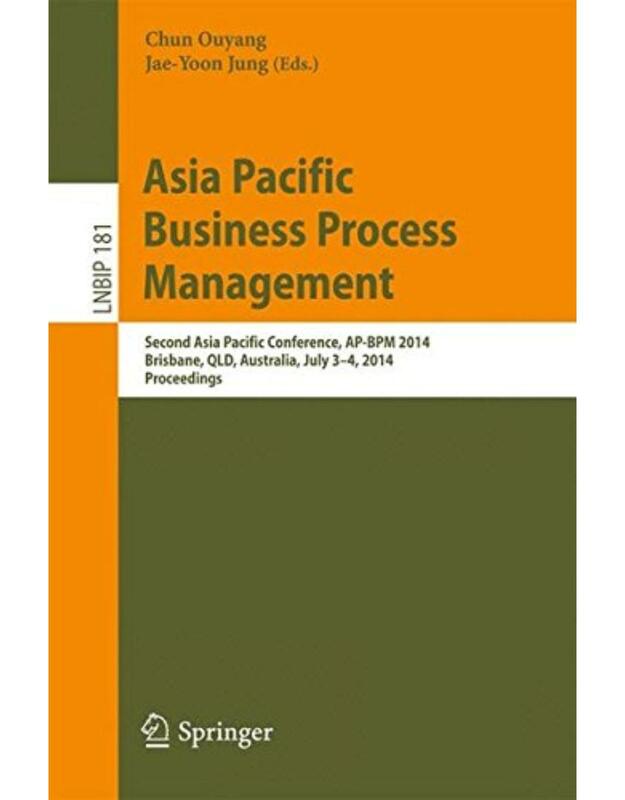 This book constitutes the proceedings of the Second Asia Pacific Conference on Business Process Management held in Brisbane, QLD, Australia, in July 2014. In all, 33 contributions from 12 countries were submitted. After each submission was reviewed by at least three Program Committee members, nine full papers were accepted for publication in this volume. These nine papers cover various topics that can be categorized under four main research focuses in BPM: process mining, process modeling and repositories, process model comparison, and process analysis. Pro Microsoft HDInsight is a complete guide to deploying and using Apache Hadoop on the Microsoft Windows and Windows Azure Platforms. The information in this book enables you to process enormous volumes of structured as well as non-structured data easily using HDInsight, which is Microsoft's own distribution of Apache Hadoop. Furthermore, the cloud option available through Windows Azure lets you take advantage of Hadoop's processing power without the worry of creating, configuring, maintaining, or managing your own cluster. With the data explosion that is soon to happen, the open source Apache Hadoop Framework is gaining traction, and it benefits from a huge ecosystem that has risen around the core functionalities of Hadoop distributed file system (HDFS) and Hadoop Map Reduce. Pro Microsoft HDInsight equips you with the knowledge, confidence, and technique to configure and manage this ecosystem on Windows and Windows Azure. The book is an excellent choice for anyone aspiring to be a data scientist or data engineer, putting you a step ahead in data mining field. * Guides you through installation and configuration of an HDInsight cluster * Provides clear examples of configuring and executing Map Reduce jobs * Helps you consume data and diagnose errors from the HDInsight cluster What you'll learn * Create and Manage HDInsight clusters on Windows and Windows Azure * Understand the different HDInsight services and configuration files * Develop and run Map Reduce jobs * Process and store petabytes of data in Hadoop's Distributed File System * Consume data from client applications like Microsoft Excel and Power View * Monitor job executions and logs * Troubleshoot common problems Who this book is for Pro Microsoft HDInsight: Hadoop on Windows is an excellent choice for developers in the field of business intelligence and predictive analysis who are wanting to have the extra edge in technology on Microsoft Windows and Windows Azure platforms. The book is for people who love to slice and dice data, and identify trends and patterns through analysis of data to help in creative and intelligent decision making. Practical Oracle Database Appliance is a hands-on book taking you through the components and implementation of the Oracle Database Appliance. Learn about architecture, installation, configuration, and reconfiguration. Install and configure the Oracle Database Appliance with confidence. Make the right choices between the various configurations in order to realize your performance requirements. Manage and monitor the appliance to meet business requirements. Protect your data through proper backup and recovery procedures. Oracle Database is one of the most relied-up databases in industry. For many years Oracle Database was a software product that had to be installed and configured at no small expense. The Oracle Database Appliance makes Oracle Database into a plug-and-play proposition: Plug the appliance into the wall socket, and turn it on. That's it. You have a running database server. This book takes you through that beginning point and beyond, helping you to realize in your own organization the ease of deployment and management represented by the appliance. This book provides insights drawn from the authors' extensive experience in teaching Puzzle-based Learning. Practical advice is provided for teachers and lecturers evaluating a range of different formats for varying class sizes. Features: suggests numerous entertaining puzzles designed to motivate students to think about framing and solving unstructured problems; discusses models for student engagement, setting up puzzle clubs, hosting a puzzle competition, and warm-up activities; presents an overview of effective teaching approaches used in Puzzle-based Learning, covering a variety of class activities, assignment settings and assessment strategies; examines the issues involved in framing a problem and reviews a range of problem-solving strategies; contains tips for teachers and notes on common student pitfalls throughout the text; provides a collection of puzzle sets for use during a Puzzle-based Learning event, including puzzles that require probabilistic reasoning, and logic and geometry puzzles. This book constitutes the refereed proceedings of the 6th Software Quality Days Conference (SWQD) held in Vienna, Austria, in January 2014. This professional symposium and conference offers a range of comprehensive and valuable opportunities for advanced professional training, new ideas and networking with a series of keynote speeches, professional lectures, exhibits and tutorials. The four scientific full papers accepted for SWQD were each peer reviewed by three or more reviewers and selected out of 24 high-quality submissions. Further, one keynote and ten short papers on promising research directions were also presented and included in order to spark discussions between researchers and practitioners. The papers are organized into topical sections on software process improvement and measurement, requirements management, value-based software engineering, software and systems testing, automation-supported testing and quality assurance and collaboration. This book constitutes the refereed post-conference proceedings of the 44th International Simulation and Gaming Association Conference, ISAGA 2013, and the IFIP WG 5.7 Workshop on Experimental Interactive Learning in Industrial Management, held in Stockholm, Sweden, in June 2013 The 30 revised full papers were carefully reviewed and selected for inclusion in the book. This book constitutes the proceedings of the 10th European Conference on Modelling Foundations and Applications, ECMFA 2014, held as part of STAF 2014, in York, UK, in July 2014. The 14 foundation track papers and the 3 applications track papers presented in this volume were carefully reviewed and selected from 58 submissions. They are on all aspects of MDE, including topics such as model provenance; model transformations and code generation; model synthesis; model-driven testing; formal modeling approaches; business modeling; and usability of models. This book constitutes the refereed proceedings of the 11th International Conference on Trust and Privacy in Digital Business, TrustBus 2014, held in Munich, Germany, in September 2014 in conjunction with DEXA 2014. The 16 revised full papers presented were carefully reviewed and selected from numerous submissions. With the increasing availability of electronic services, security and a reliable means by which identity is verified is essential. Written by Norberto Andrade the first chapter of this book provides an overview of the main legal and regulatory aspects regarding electronic identity in Europe and assesses the importance of electronic identity for administration (public), business (private) and, above all, citizens. It also highlights the role of eID as a key enabler of the economy. In the second chapter Lisha Chen-Wilson, David Argles, Michele Schiano di Zenise and Gary Wills discuss the user-centric eCertificate system aimed at supporting the eID system. Electronic Identity is essential reading for researchers, lawyers, policy makers, technologists and anyone wishing to understand the challenges of a pan-European eID. Mainframe z on Distributed Platforms reveals alternative techniques not covered by IBM for creatively adapting and enhancing multi-user IBM zPDT environments so that they are more friendly, stable, and reusable than those envisaged by IBM. The enhancement processes and methodologies taught in this book yield multiple layers for system recovery, 24x7 availability, and superior ease of updating and upgrading operating systems and subsystems without having to rebuild environments from scratch. Most of the techniques and processes covered in this book are not new to either the mainframe or distributed platforms. What is new in this book are the authors' innovative methods for taking distributed environments running mainframe virtual machine (VM) and multiple virtual storage (MVS) and making them look and feel like other MVS systems. The authors' combined expertise involves every aspect of the implementation of IBM zPDT technology to create virtualized mainframe environments by which the mainframe operations on a z series server can be transitioned to distributed platforms. 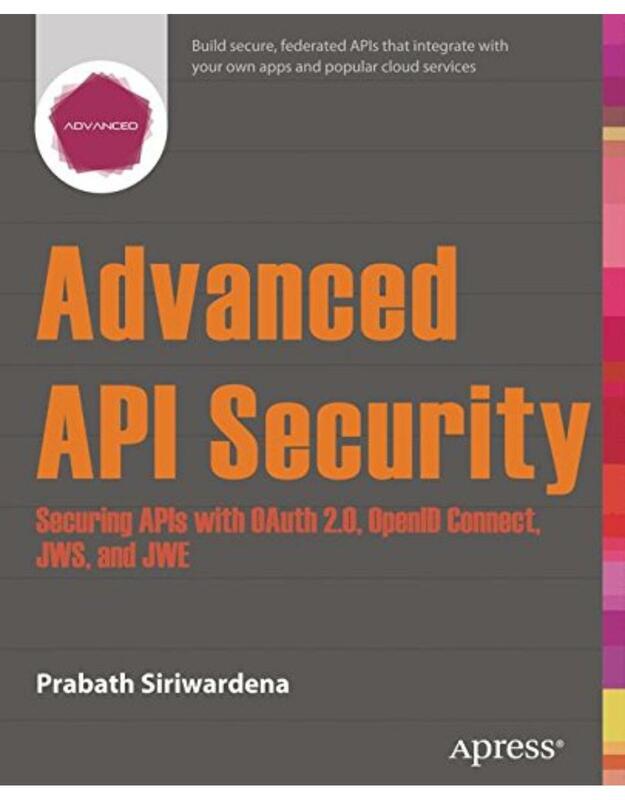 All of the enhancement methods consecutively laid out in this book have been architected and developed by the authors for the CA Technologies distributed platform. Barrett and Norris impart these techniques and processes to CIOs and CTOs across the mainframe and distributed fields, to zPDT and RDz UT implementers, and to IBM's independent software vendors and customers. Least Squares Data Fitting with Applications. As one of the classical statistical regression techniques, and often the first to be taught to new students, least squares fitting can be a very effective tool in data analysis. Given measured data, we establish a relationship between independent and dependent variables so that we can use the data predictively. The main concern of "Least Squares Data Fitting with Applications" is how to do this on a computer with efficient and robust computational methods for linear and nonlinear relationships. The presentation also establishes a link between the statistical setting and the computational issues. In a number of applications, the accuracy and efficiency of the least squares fit is central, and Per Christian Hansen, V�ctor Pereyra, and Godela Scherer survey modern computational methods and illustrate them in fields ranging from engineering and environmental sciences to geophysics. Anyone working with problems of linear and nonlinear least squares fitting will find this book invaluable as a hands-on guide, with accessible text and carefully explained problems. Included are - an overview of computational methods together with their properties and advantages - topics from statistical regression analysis that help readers to understand and evaluate the computed solutions - many examples that illustrate the techniques and algorithms "Least Squares Data Fitting with Applications" can be used as a textbook for advanced undergraduate or graduate courses and professionals in the sciences and in engineering. This book contains the refereed proceedings of the 15th International Conference on Agile Software Development, XP 2014, held in Rome, Italy, in May 2014. Because of the wide application of agile approaches in industry, the need for collaboration between academics and practitioners has increased in order to develop the body of knowledge available to support managers, system engineers, and software engineers in their managerial/economic and architectural/project/technical decisions. Year after year, the XP conference has facilitated such improvements and provided evidence on the advantages of agile methodologies by examining the latest theories, practical applications, and implications of agile and lean methods. The 15 full papers, seven short papers, and four experience reports accepted for XP 2014 were selected from 59 submissions and are organized in sections on: agile development, agile challenges and contracting, lessons learned and agile maturity, how to evolve software engineering teaching, methods and metrics, and lean development. This book constitutes the refereed proceedings of the 11th International Conference on Mobile Web and Information Systems, MobiWIS 2014, held in Barcelona, Spain, in August 2014. The 24 papers presented were carefully reviewed and selected from 75 submissions and cover topics such as: mobile software systems, middleware/SOA for mobile systems, context- and location-aware services, data management in the mobile web, mobile cloud services, mobile web of things, mobile web security, trust and privacy, mobile networks, protocols and applications, mobile commerce and business services, HCI in mobile applications, social media, and adaptive approaches for mobile computing. Business processes and information systems mutually affect each other in non-trivial ways. Frequently, processes are designed without taking the systems' impact into account, and vice versa. Missing alignment at design-time results in quality problems at run-time. Robert Heinrich gives examples from research and practice for an integrated design of process and system quality. A quality reference-model characterizes process quality and a process notation is extended to operationalize the model. Simulation is a powerful means to predict the mutual quality impact, to compare design alternatives, and to verify them against requirements. The author describes two simulation approaches and discusses interesting insights on their application in practice. This book constitutes the thoroughly refereed proceedings of five international workshops held in Thessaloniki, Greece, in conjunction with the 26th International Conference on Advanced Information Systems Engineering, CAiSE 2014, in June 2014. The 24 full and eight short papers were carefully selected from 63 submissions. The five workshops were the First International Workshop on Advanced Probability and Statistics in Information Systems (APSIS), the First International Workshop on Advances in Services Design Based on the Notion of Capability, the Second International Workshop on Cognitive Aspects of Information Systems Engineering (COGNISE), the Third Workshop on New Generation Enterprise and Business Innovation Systems (NGEBIS), and the 4th International Workshop on Information Systems Security Engineering (WISSE). This book contains the refereed proceedings of the 5th International Conference on Software Business (ICSOB) held in Paphos, Cyprus, in June 2014. The theme of the event was "Shortening the Time to Market: From Short Cycle Times to Continuous Value Delivery." The 18 full papers, two short papers, two industrial papers, and two doctoral consortium abstracts accepted for ICSOB were selected from 45 submissions and are organized in sections on: strategic aspects, start-ups and software business, products and service business, software development, ecosystems, and platforms and enterprises. Here is a laboratory workbook filled with interesting and challenging projects for digital logic design and embedded systems classes. The workbook introduces you to fully integrated modern CAD tools, logic simulation, logic synthesis using hardware description languages, design hierarchy, current generation field programmable gate array technology, and SoPC design. Projects cover such areas as serial communications, state machines with video output, video games and graphics, robotics, pipelined RISC processor cores, and designing computer systems using a commercial processor core. This book constitutes the thoroughly refereed proceedings of the 6th International Conference on Subject-Oriented Business Process Management, S-BPM ONE 2014, held in Eichst�tt, Germany, in April 2014. The 14 application-oriented papers selected during the peer review process and included in this volume deal with a variety of topics ranging from model elicitation over strategic alignment to the application of S-BPM in different domains like software effort estimation, production planning and education. This book presents an application-centric approach to the development of smart grid communication architecture. The coverage includes in-depth reviews of such cutting-edge applications as advanced metering infrastructure, distribution automation, demand response and synchrophasors. Features: examines a range of exciting utility applications made possible through smart grid evolution; describes the core-edge network architecture for smart grids, introducing the concept of WANs and FANs; explains how the network design paradigm for smart grids differs from that for more established data networks, and discusses network security in smart grids; provides an overview of communication network technologies for WANs and FANs, covering OPGW, PLC, and LTE and MPLS technology; investigates secure data-centric data management and data analytics for smart grids; discusses the transformation of a network from conventional modes of utility operation to an integrated network based on the smart grid architecture framework. Mashups have emerged as an innovative software trend that re-interprets existing Web building blocks and leverages the composition of individual components in novel, value-adding ways. Additional appeal also derives from their potential to turn non-programmers into developers. Daniel and Matera have written the first comprehensive reference work for mashups. They systematically cover the main concepts and techniques underlying mashup design and development, the synergies among the models involved at different levels of abstraction and the way models materialize into composition paradigms and architectures of corresponding development tools. The book deliberately takes a balanced approach, combining a scientific perspective on the topic with an in-depth view on relevant technologies. To this end, the first part of the book introduces the theoretical and technological foundations for designing and developing mashups, as well as for designing tools that can aid mashup development. The second part then focuses more specifically on various aspects of mashups. It discusses a set of core component technologies, core approaches and architectural patterns, with a particular emphasis on tool-aided mashup development exploiting model-driven architectures. Development processes for mashups are also discussed and special attention is paid to composition paradigms for the end-user development of mashups and quality issues. Overall, the book is of interest to a wide range of readers. Students, lecturers, and researchers will find a comprehensive overview of core concepts and technological foundations for mashup implementation and composition. This book constitutes the proceedings of the 12th International Conference on Business Process Management, BPM 2014, held in Haifa, Israel, in September 2014. The 21 regular papers and 10 short papers included in this volume were carefully reviewed and selected from 123 submissions. The papers are organized in 9 topical sections on declarative processes, user-centered process approaches, process discovery, integrative BPM, resource and time management in BPM, process analytics, process enabled environments, discovery and monitoring, and industry papers. This book constitutes the thoroughly refereed proceedings of the 21st International Conference on Computer Networks, CN 2014, held in Brun�w, Poland, in June 2014. The 34 revised full papers presented were carefully reviewed and selected for inclusion in the book. The papers in these proceedings cover the following topics: computer networks, tele informatics and communications, new technologies, queueing theory, innovative applications and networked and IT-related aspects of e-business. This volume constitutes the refereed proceedings of the 21st EuroSPI conference, held in Luxembourg, in June 2014. The 18 revised papers presented together with 11 invited papers in this volume were carefully reviewed and selected. They are organized in topical sections on SPI and very small entities; process improvement frameworks; testing and improvement issues; SPI and people issues; SPI and quality issues; software processes in various contexts. The volume also contains selected keynote papers from EuroSPI workshops and invited papers covering the topic of creating environments supporting innovation and improvement. This book explains basic principles of MuPAD commands. It teaches how to write simple programs and develop interactive environments for teaching mathematics. The text gives a large number of useful examples from different areas of undergraduate mathematics developed by the author during his long teaching experience. All the book examples are available online. Flash, SVG and JVX formats are used to display interactive. This book assembles contributions from computer scientists and librarians that altogether encompass the complete range of tools, tasks and processes needed to successfully preserve the cultural heritage of the Web. It combines the librarians application knowledge with the computer scientists implementation knowledge, and serves as a standard introduction for everyone involved in keeping alive the immense amount of online information. A starter to the concepts of modularization and mass customization. Condensed and application-oriented approach for a broad audience in engineering, production, sales and marketing. Provides an extensive configurator evaluation checklist for future users and a supplement of business cases. The main goal of this book is to help organizations improve their effort estimates and effort estimation processes by providing a step-by-step methodology that takes them through the creation and validation of models that are based on their own knowledge and experience. Such models, once validated, can then be used to obtain predictions, carry out risk analyses, enhance their estimation processes for new projects and generally advance them as learning organizations. Emilia Mendes presents the Expert-Based Knowledge Engineering of Bayesian Networks (EKEBNs) methodology, which she has used and adapted during the course of several industry collaborations with different companies world-wide over more than 6 years. The book itself consists of two major parts: first, the methodology's foundations in knowledge management, effort estimation (with special emphasis on the intricacies of software and Web development) and Bayesian networks are detailed; then six industry case studies are presented which illustrate the practical use of EKEBNs. Domain experts from each company participated in the elicitation of the bespoke models for effort estimation and all models were built employing the widely-used Netica � tool. This part is rounded off with a chapter summarizing the experiences with the methodology and the derived models. Practitioners working on software project management, software process quality or effort estimation and risk analysis in general will find a thorough introduction into an industry-proven methodology as well as numerous experiences, tips and possible pitfalls invaluable for their daily work. Aligning an organization's goals and strategies requires specifying their rationales and connections so that the links are explicit and allow for analytic reasoning about what is successful and where improvement is necessary. This book provides guidance on how to achieve this alignment, how to monitor the success of goals and strategies and use measurement to recognize potential failures, and how to close alignment gaps. It uses the GQM+Strategies approach, which provides concepts and actionable steps for creating the link between goals and strategies across an organization and allows for measurement-based decision-making. After outlining the general motivation for organizational alignment through measurement, the GQM+Strategies approach is described concisely, with a focus on the basic model that is created and the process for creating and using this model. The recommended steps of all six phases of the process are then described in detail with the help of a comprehensive application example. Finally, the industrial challenges addressed by the method and cases of its application in industry are presented, and the relations to other approaches, such as Balanced Scorecard, are described. The book concludes with supplementary material, such as checklists and guidelines, to support the application of the method. This book is aimed at organization leaders, managers, decision makers, and other professionals interested in aligning their organization's goals and strategies and establishing an efficient strategic measurement program. It is also interesting for academic researchers looking for mechanisms to integrate their research results into organizational environments. The CQRE [Secure] conference provides a new international forum giving a close-up view on information security in the context of rapidly evolving economic processes. The unprecedented reliance on computer technology has transformed the previous technical side-issue "information security" to a management problem requiring decisions of strategic importance. Thus one of the main goals of the conference is to provide a platform for both technical specialists as well as decision makers from government, industry, commercial, and academic communities. The target of CQRE is to promote and stimulate dialogue between managers and experts, which seems to be necessary for providing secure information systems in the next millennium. Therefore CQRE consists of two parts: Part I mainly focuses on strategic issues of information security, while the focus of Part II is more technical in nature. This volume of the conference proceedings consists of the reviewed and invited contributions of the second part. The program committee considered 46 papers and selected only 15 for full presentation. This book contains substantially extended and revised versions of the best papers from the 15th International Conference on Enterprise Information Systems, ICEIS 2013, held in Angers, France, in July 2013. The 29 full and two invited papers included in this volume were carefully reviewed and selected from 321 submissions. They reflect state-of-the-art research focusing mainly on real-world applications and highlight the benefits of information systems and technology for industry and services, thus connecting academia with the world of real enterprises. The topics covered are: databases and information systems integration, artificial intelligence and decision support systems, information systems analysis and specification, software agents and Internet computing, human-computer interaction, and enterprise architecture. This two volume set LNCS 8644 and LNCS 8645 constitutes the refereed proceedings of the 25th International Conference on Database and Expert Systems Applications, DEXA 2014, held in Munich, Germany, September 1-4, 2014. The 37 revised full papers presented together with 46 short papers, and 2 keynote talks, were carefully reviewed and selected from 159 submissions. The papers discuss a range of topics including: data quality; social web; XML keyword search; skyline queries; graph algorithms; information retrieval; XML; security; semantic web; classification and clustering; queries; social computing; similarity search; ranking; data mining; big data; approximations; privacy; data exchange; data integration; web semantics; repositories; partitioning; and business applications. This book constitutes the refereed proceedings of nine international workshops held in Beijing, China, in conjunction with the 11th International Conference on Business Process Management, BPM 2013, in August 2013. The nine workshops comprised Business Process Intelligence (BPI 2013), Business Process Management and Social Software (BPMS2 2013), Data- and Artifact-Centric BPM (DAB 2013), Decision Mining and Modeling for Business Processes (DeMiMoP 2013), Emerging Topics in Business Process Management (ETBPM 2013), Process-Aware Logistics Systems (PALS 2013), Process Model Collections: Management and Reuse (PMC-MR 2013), Security in Business Processes (SBP 2013) and Theory and Applications of Process Visualization (TAProViz 2013). This book - in conjunction with the volumes LNCS 8588 and LNAI 8589 - constitutes the refereed proceedings of the 10th International Conference on Intelligent Computing, ICIC 2014, held in Taiyuan, China, in August 2014. The 58 papers of this volume were carefully reviewed and selected from numerous submissions. The papers are organized in topical sections such as machine learning; neural networks; image processing; computational systems biology and medical informatics; biomedical informatics theory and methods; advances on bio-inspired computing; protein and gene bioinformatics: analysis, algorithms, applications. 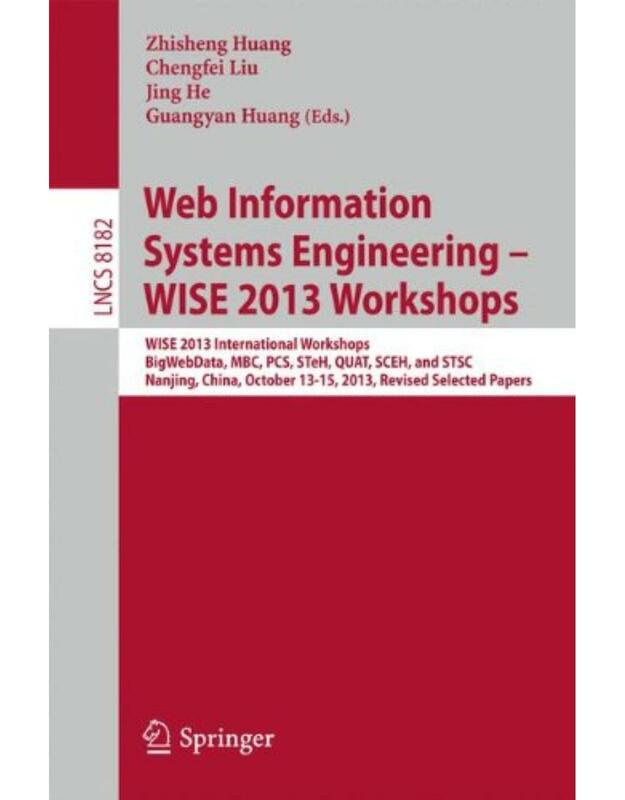 This book constitutes the revised selected papers of the combined workshops on Web Information Systems Engineering, WISE 2013, held in Nanjing, China, in October 2013. The seven workshops of WISE 2013 have reported the recent developments and advances in the contemporary topics in the related fields of: the big data problem on the Web, Big Web Data 2013, mobile business, MBC 2013, personalization in cloud and service computing, PCS 2013, data quality and trust in dig data, QUAT 2013, e-health and social computing, SCEH 2013, semantic technology for e-health, STeH 2013 and semantic technology for smarter cities, STSC 2013. This monograph on Security in Computing Systems: Challenges, Approaches and Solutions aims at introducing, surveying and assessing the fundamentals of se- rity with respect to computing. Here, "computing" refers to all activities which individuals or groups directly or indirectly perform by means of computing s- tems, i. e. , by means of computers and networks of them built on telecommuni- tion. We all are such individuals, whether enthusiastic or just bowed to the inevitable. So, as part of the ''information society'', we are challenged to maintain our values, to pursue our goals and to enforce our interests, by consciously desi- ing a ''global information infrastructure'' on a large scale as well as by approp- ately configuring our personal computers on a small scale. As a result, we hope to achieve secure computing: Roughly speaking, computer-assisted activities of in- viduals and computer-mediated cooperation between individuals should happen as required by each party involved, and nothing else which might be harmful to any party should occur. The notion of security circumscribes many aspects, ranging from human qua- ties to technical enforcement. First of all, in considering the explicit security requirements of users, administrators and other persons concerned, we hope that usually all persons will follow the stated rules, but we also have to face the pos- bility that some persons might deviate from the wanted behavior. Biometrics is a rapidly evolving field with applications ranging from accessing one's computer to gaining entry into a country. The deployment of large-scale biometric systems in both commercial and government applications has increased public awareness of this technology. Recent years have seen significant growth in biometric research resulting in the development of innovative sensors, new algorithms, enhanced test methodologies and novel applications. This book addresses this void by inviting some of the prominent researchers in Biometrics to contribute chapters describing the fundamentals as well as the latest innovations in their respective areas of expertise. The implementation of a TMS solution is a highly complex and mission critical project. If executed correctly a good TMS can deliver a number of benefits to the organization in terms of optimization, greater efficiency, reduced errors and improved revenue through accurate invoicing. However a number of projects fail to realize these benefits for a host of reasons such as an incorrect product selection, over customization of the system and lack of detailed processes. The evaluation and selection of the right transportation management system is a very critical step in the successful implementation of a TMS product as well as ensuring that the organization is able to realize the benefits expected from the system. Transportation Management with SAP TM 9 is a guide for CIO/CXOs evaluating options for various transportation management solutions available in the market and helps inappropriate decision making before committing investment. A proven evaluation framework and guidance provided in the book can help decision makers with product selection and help to create a business case for management approval and design a future roadmap for the organization. The book provides a comprehensive understanding of what SAP transportation management is and is useful for teams involved in TM Implementation and roll outs to ensure preparedness. The book explains end-to-end freight life cycle processes, functional system landscape, implementation challenges and post go-live precautions required to optimize investments in SAP TM. Transportation Management with SAP TM 9 also acts as a step by step implementation guide with details of configuration required to set up a TM9 system. This book also covers the upgrade of SAP TM8 to SAP TM9 which will be useful for existing clients who are on TM 8. Nonavailability of SAP TM skilled resources is a major challenge faced by organizations and the book provides a detailed competency building plan along with skill set requirements to create a competent and trained workforce to manage-transformation.The current book available in the market on SAP TM is based on Version 6 release which does not cover air freight processes. Our book covers end-to-end air freight configuration scenarios for logistic companies. This book constitutes the refereed proceedings of the 10th International IFIP WG 2.13 Conference on Open Source Systems, OSS 2014, held in San Jos�, Costa Rica, in May 2014. The 16 revised full papers and 16 short papers presented together with 5 poster papers were carefully reviewed and selected from 61 submissions. They have been organized in the following topical sections: open source visualization and reporting; open source in business modeling; open source in mobile and web technologies; open source in education and research; development processes of open source products; testing and assurance of open source projects; and global impact on open source communities and development. The last section consists of five case studies and demonstrations of open source projects. The two-volume set LNAI 8397 and LNAI 8398 constitutes the refereed proceedings of the 6th Asian Conference on Intelligent Information and Database Systems, ACIIDS 2014, held in Bangkok, Thailand, in April 2014. The 125 revised papers presented were carefully reviewed and selected from 300 submissions. The papers address the following topics: natural language and text processing, intelligent information retrieval, semantic Web, social networks and recommendation systems, intelligent database systems, decision support systems, computer vision techniques, and machine learning and data mining. The papers are organized in topical sections on multiple model approach to machine learning, MMAML 2014, computational intelligence, CI 2014, engineering knowledge and semantic systems, IWEKSS 2014, innovations in intelligent computation and applications, IICA 2014, modeling and optimization techniques in information systems, database systems and industrial systems, MOT 2014, innovation via collective intelligences and globalization in business management, ICIGBM 2014, intelligent supply chains, ISC 2014, and human motion: acquisition, processing, analysis, synthesis and visualization for massive datasets, HMMD 2014. This book constitutes the proceedings of 26th International Conference on Advanced Information Systems Engineering, CAiSE 2014, held in Thessaloniki, Greece in June 2014. The 41 papers and 3 keynotes presented were carefully reviewed and selected from 226 submissions. The two-volume set LNCS 8521 and 8522 constitutes the refereed proceedings of the Human Interface and the Management of Information thematic track, held as part of the 16th International Conference on Human-Computer Interaction, HCII 2014, held in Heraklion, Greece, in June 2014, jointly with 13 other thematically similar conferences. The total of 1476 papers and 220 posters presented at the HCII 2014 conferences were carefully reviewed and selected from 4766 submissions. These papers address the latest research and development efforts and highlight the human aspects of design and use of computing systems. The papers accepted for presentation thoroughly cover the entire field of human-computer interaction, addressing major advances in knowledge and effective use of computers in a variety of application areas. This volume contains papers addressing the following major topics: e-learning and e-education; decision support; information and interaction in aviation and transport; safety, security and reliability; communication, expression and emotions; art, culture and creativity; information and knowledge in business and society. This book constitutes the revised selected papers of the workshops of the 11th International Conference on Service-Oriented Computing (ICSOC 2013), held in Berlin, Germany, in December 2013. The conference hosted the following five workshops: 3rd International Workshop on Cloud Computing and Scientific Applications (CCSA'13); 1st International Workshop on Cloud Service Brokerage (CSB'13); 1st International Workshop on Pervasive Analytical Service Clouds for the Enterprise and Beyond (PASCEB'13); 9th International Workshop on Semantic Web Enabled Software Engineering (SWESE'13); 9th International Workshop on Engineering Service-Oriented Applications (WESOA'13); and a PhD Symposium, with best papers also being included in this book. The 54 papers included in this volume were carefully reviewed and selected from numerous submissions. They address various topics in the service-oriented computing domain and its emerging applications. This book is on business rules programs, that is, rule programs as handled in business rules management systems. Its conceptual contribution is to present the foundation for treating business rules as a topic of scientific investigation in semantics and program verification, while its technical contribution is to present an approach to the formal verification of business rules programs. The author proposes a method for proving correctness properties for a business rules program in a compositional way, meaning that the proof of a correctness property for a program is built up from correctness properties for the individual rules-thus bridging a gap between the intuitive understanding of rules and the formal semantics of rule programs. With this approach the author enables rule authors and tool developers to understand, express formally, and prove properties of the execution behavior of business rules programs. This book presents effective ways to partition mobile devices such that the enterprise system access and its information are completely separated from the personal information. For those using mobile devices for personal and business purposes, the ability to keep the data secure and separate is critical. The applications for security in smart platforms range from personal email accounts to global enterprise systems. Several approaches for mobile virtualization are described, all creating secure and secluded environments for enterprise information. The authors present a reference architecture that allows for integration with existing enterprise mobile device management systems and provides a lightweight solution for containerizing mobile applications. This solution is then benchmarked with several of the existing mobile virtualization solutions across a range of mobile devices. Software and systems quality is playing an increasingly important role in the growth of almost all ? profit and non-profit ? organisations. Quality is vital to the success of enterprises in their markets. Most small trade and repair businesses use software systems in their administration and marketing processes. Every doctor�s surgery is managing its patients using software. Banking is no longer conceivable without software. Aircraft, trucks and cars use more and more software to handle their increasingly complex technical systems. Innovation, competition and cost pressure are always present in on-going business decisions. The question facing all these organisations is how to achieve the right quality of their software-based systems and products; how to get the required level of quality, a level that the market will reward, a level that mitigates the organisation�s risks, and a level that the organisation is willing to pay for. Although a number of good practices are in place, there is still room for huge improvements. Thus, let us take a look into the two worlds of �Embedded systems� and �ICT systems� and let us learn from both worlds, from overlaps and individual solutions. The next step for industrialisation in the software industry is required now. Hence, three pillars will be focused in this book: (1) a fundamental notion of right software and systems quality (RiSSQ); (2) portfolio management, quality governance, quality management, and quality engineering as holistic approach over the three layers of an enterprise, i.e. strategic, tactical, and operational layer; and (3) an industrialisation framework for implementing our approach. This work represents a milestone for the "ULOOP User-centric Wireless Local Loop" project funded by the EU IST Seventh Framework Programme. ULOOP is focused on the robust, secure, and autonomic deployment of user-centric wireless networks. Contributions by ULOOP partners as well as invited tutorials by international experts in the field. The expected impact is to increase awareness to user-centric networking in terms, e.g., of business opportunities and quality of experience, and to present adequate technology to sustain the growth of user-friendly wireless architectures. Throughout the last 3 years, ULOOP has developed enabling technologies for user-centricity in wireless networks, with particular emphasis on social trust management, cooperation incentives, community building, mobility estimation, and resource management. This work will be of interest to researchers, policymakers, operators, vendors, and end-users interested in the current and future directions of user-centric access networks. A "Learning Network" is a community of people who help each other to better understand and handle certain events and concepts in work or life. As a result - and sometimes also as an aim - participating in learning networks stimulates personal development, a better understanding of concepts and events, career development, and employability. "Learning Network Services" are Web services that are designed to facilitate the creation of distributed Learning Networks and to support the participants with various functions for knowledge exchange, social interaction, assessment and competence development in an effective way. The book presents state-of-the-art insights into the field of Learning Networks and Web-based services which can facilitate all kinds of processes within these networks. The current work provides CIOs, software architects, project managers, developers, and cloud strategy initiatives with a set of architectural patterns that offer nuggets of advice on how to achieve common cloud computing-related goals. The cloud computing patterns capture knowledge and experience in an abstract format that is independent of concrete vendor products. Readers are provided with a toolbox to structure cloud computing strategies and design cloud application architectures. By using this book cloud-native applications can be implemented and best suited cloud vendors and tooling for individual usage scenarios can be selected. The cloud computing patterns offer a unique blend of academic knowledge and practical experience due to the mix of authors. Academic knowledge is brought in by Christoph Fehling and Professor Dr. Frank Leymann who work on cloud research at the University of Stuttgart. Practical experience in building cloud applications, selecting cloud vendors, and designing enterprise architecture as a cloud customer is brought in by Dr. Ralph Retter who works as an IT architect at T-Systems, Walter Schupeck, who works as a Technology Manager in the field of Enterprise Architecture at Daimler AG,and Peter Arbitter, the former head of T Systems� cloud architecture and IT portfolio team and now working for Microsoft. "Science is art," said Regina Dugan, senior executive at Google and former director of DARPA. "It is the process of creating something that never exists before. ... It makes us ask new questions about ourselves, others; about ethics, the future." This second volume of the Digital Da Vinci book series leads the discussions on the world's first computer art in the 1950s and the actualization of Star Trek's holodeck in the future with the help of artificial intelligence and cyborgs. In this book, Gavin Sade describes experimental creative practices that bring together arts, science and technology in imaginative ways; Mine �zkar expounds visual computation for good designs based on repetition and variation; Raffaella Folgieri, Claudio Lucchiari, Marco Granato and Daniele Grechi introduce BrainArt, a brain-computer interface that allows users to create drawings using their own cerebral rhythms; Nathan Cohen explores artificially created spaces that enhance spatial awareness and challenge our perception of what we encounter; Keith Armstrong discusses embodied experiences that affect the mind and body of participating audiences; Diomidis Spinellis uses Etoys and Squeak in a scientific experiment to teach the concept of physical computing; Benjamin Cowley explains the massively multiplayer online game "Green My Place" aimed at achieving behavior transformation in energy awareness; Robert Niewiadomski and Dennis Anderson portray 3-D manufacturing as the beginning of common creativity revolution; Stephen Barrass takes 3-D printing to another dimension by fabricating an object from a sound recording; Mari Velonaki examines the element of surprise and touch sensing in human-robot interaction; and Roman Danylak surveys the media machines in light of Marshall McLuhan's dictum "the medium is the message." Digital Da Vinci: Computers in the Arts and Sciences is dedicated to polymathic education and interdisciplinary studies in the digital age empowered by computer science. Dynamic complexity results from hidden, un�known factors-or more precisely, interactions between factors-that can unexpectedly im�pact the perfor�mance of systems. When the influences of dynamic complexity are not meas�ured and understood, new never-seen-before behaviors can come as unwelcomed surprises, which disrupt the performance of systems. Left alone, processes that were once prized for their effi�ciency unexpectedly begin to degrade-costs increase, while volumes and quality decline. Evidence of problems may come too late for effective resolution as technology advance�ments induce rapid change and compress the time available to react to that change. The results of dynamic complexity are always negative and unmanaged dynamic complexity can bring business or global systems to the point of sudden chaos. The 2009 H1N1 pandemic, 2008 Credit Crunch and 2011 Fukushima Daiichi nuclear disaster are global examples of the dangers of undiagnosed dynamic complexity. With increasing frequency executive leaders today are discovering that their business and IT system performance levels are not meeting expectations. In most cases these performance deficiencies are caused by dynamic complexity, which lies hidden like a cancer until the symptoms reveal themselves-often when it is too late to avoid negative impacts on business outcomes. This book examines the growing business problem of dynamic complexity and presents a path to a practical solution. To achieve better predictability, organizations must be able to expose new, dangerous patterns of behavior in time to take corrective actions and know which actions will yield the optimal results. The book authors promote new methods of risk management that use data collection, analytics, machine learning and automation processes to help organizations more accurately predict the future and take strategic actions to improve performance outcomes. The presented means of achieving this goal are based upon the authors' practical experiences, backed by scientific principles, and results achieved through consulting engagements with over 350 global organizations. Ever since its inception, the Web has changed the landscape of human experiences on how we interact with one another and data through service infrastructures via various computing devices. This interweaving environment is now becoming ever more embedded into devices and systems that integrate seamlessly on how we live, both in our working or leisure time. For this volume, King and Baeza-Yates selected some pioneering and cutting-edge research work that is pointing to the future of the Web. Based on the Workshop Track of the 17th International World Wide Web Conference (WWW2008) in Beijing, they selected the top contributions and asked the authors to resubmit their work with a minimum of one third of additional material from their original workshop manuscripts to be considered for this volume. After a second-round of reviews and selection, 16 contributions were finally accepted. The work within this volume represents the tip of an iceberg of the many exciting advancements on the WWW. It covers topics like semantic web services, location-based and mobile applications, personalized and context-dependent user interfaces, social networks, and folksonomies. The presentations aim at researchers in academia and industry by showcasing latest research findings. Overall they deliver an excellent picture of the current state-of-the-art, and will also serve as the basis for ongoing research discussions and point to new directions. This Handbook fills the gaps of Open Geometry by explaining new methods, techniques and various examples. One its main strengths is that it enables the reader to learn about Open Geometry by working through examples. In addition, it includes a complete compendium of all the Open Geometry classes and their methods. Open Geometry will be of great attraction to those who want to start graphics programming. In this book, the major ideas behind Organic Computing are delineated, together with a sparse sample of computational projects undertaken in this new field. Biological metaphors include evolution, neural networks, gene-regulatory networks, networks of brain modules, hormone system, insect swarms, and ant colonies. Applications are as diverse as system design, optimization, artificial growth, task allocation, clustering, routing, face recognition, and sign language understanding. What will business software look like in the future? And how will it be developed? This book covers the proceedings of the first international conference on Future Business Software - a new think tank discussing the trends in enterprise software with speakers from Europe's most successful software companies and the leading research institutions. The articles focus on two of the most prominent trends in the field: emergent software and agile development processes. "Emergent Software" is a new paradigm of software development that addresses the highly complex requirements of tomorrow's business software and aims at dynamically and flexibly combining a business software solution's different components in order to fulfill customers' needs with a minimum of effort. Agile development processes are the response of software technology to the implementation of diverse and rapidly changing software requirements. A major focus is on the minimization of project risks, e.g. through short, iterative development cycles, test-driven development and an intensive culture of communication. As our heritage deteriorates through erosion, human error or natural disasters, it has become more important than ever to preserve our past - even if it is in digital form only. This highly relevant work describes thorough research and methods for preserving cultural heritage objects through the use of 3D digital data. These methods were developed via computer vision and computer graphics technologies. They offer a way of passing our heritage down to future generations. The main objective of ICSCTEA 2013 is to provide a platform for researchers, engineers and academicians from all over the world to present their research results and development activities in soft computing techniques and engineering application. This conference provides opportunities for them to exchange new ideas and application experiences face to face, to establish business or research relations and to find global partners for future collaboration.